As we discussed in a previous blog article, when you have a great product that few know about, it's essential to get the word out. In March 2014, VHDA launched a marketing campaign to promote our free Spanish language Homebuyer class. The campaign started in Richmond, using three media outlets: Telemundo (the area’s only local Spanish language TV station) and radio stations WBTK 1380AM and WVNZ 1320 AM. Three departments within VHDA’s Community Outreach Division (REACH, Marketing and Housing Education) worked closely to prepare for the campaign. 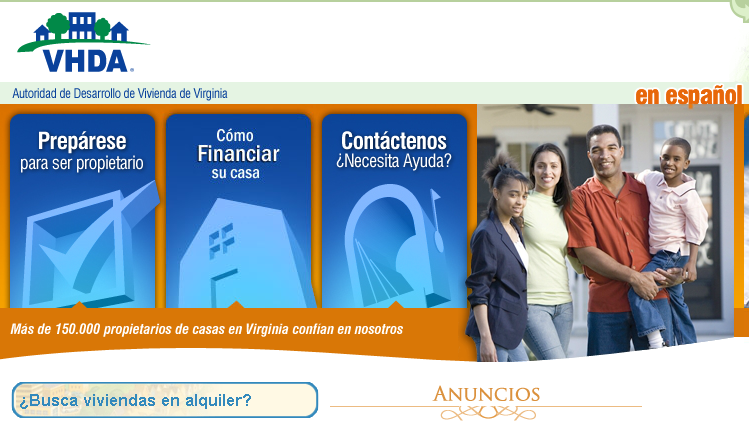 Our Marketing Department developed a mobile-optimized version of VHDA's Spanish language website. Jose Paiz, VHDA's Community Housing Officer for Hispanic Outreach, and Frank Curbeira, a VHDA Housing Education Officer, recruited several Spanish-speaking trainers in the Richmond area to teach those who prefer an in-person class. We also established a toll-free number (844-MI-CLASE) that enables us to track the community’s response to the campaign. The results of the Richmond campaign were encouraging, with a significant increase in the number of Hispanics who took the online class compared to the same period the previous year. If this trend holds, by the end of the year there will be a 400 percent increase in the number of Hispanics taking an online class in Spanish, and a 40 percent increase in the number taking an online class in English. A total of 26 people attended the in-person classes during March and May in partnership with Richmond's Southside Community Development and Housing Corporation. This organization helps connect potential homebuyers with a Spanish-speaking housing counselor to help overcome possible financial barriers and improve their chances of becoming homeowners. VHDA will continue the Hispanic Homebuyers Education marketing campaign in Richmond and will also implement a similar campaign in the Hampton Roads area in fiscal year 2015.